There are many everyday uses for powdered milk. Powdered reconstituted milk from your food storage can be used to make whole milk, evaporated milk, sweetened condensed milk, butter milk and more. Powered milk is a real power house in your pantry! How Much Powdered Milk Should You Store? While 16 pounds of powdered milk for an adult would provide about 1 glass of milk a day for a year, it wouldn’t allow an for cooking. Additionally, children would need more to meet their daily requirements. According to the LDS Food Storage Calculator a year’s supply of dairy would come in at 30 pounds for an adult. I store and use Thrive Life powdered milk. Unlike many other brands I’ve tried, Thrive’s powdered milk tastes good. No. Really. It does! 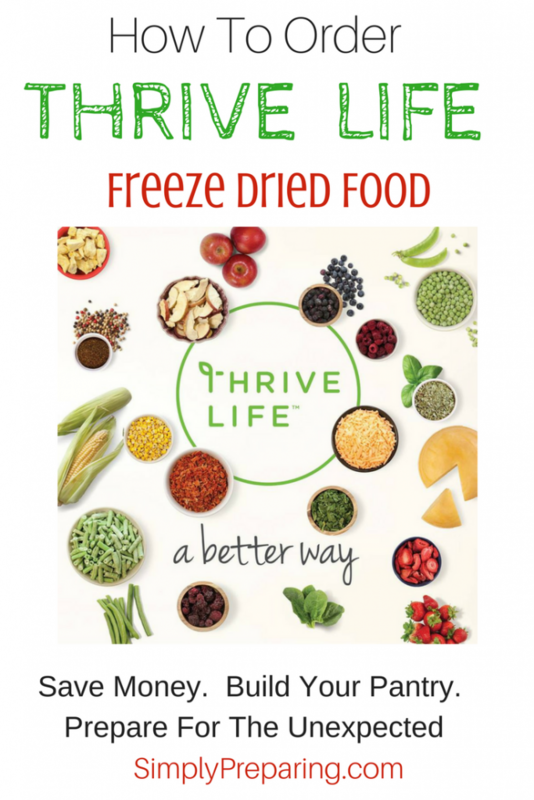 Here’s how you can order Thrive Life Freeze Dried Food. At our house, Instant Milk powder is for drinking because it dissolves instantly in water at any temperature. Instant Milk was also specifically developed for it’s flavor. Some people add a little bit of sugar and vanilla extract to their reconstituted milk. Interestingly, I haven’t felt the need to do that with Thrive Powdered Milk. I do always serve it cold. Mix Instant Milk powder with water using the proportions below [add more or less powder to suit individual tastes]. Store in fridge; for best taste, refrigerate for at least 30 minutes before drinking. Non Fat Powdered Milk is best used for baking, although you could certainly use it for drinking too, it just takes longer to blend up. You don’t need to mix the milk up before adding it to recipes; just add the milk powder to the dry ingredients and the necessary water to the wet ingredients. If you choose to use Non-Fat Powdered Milk as your drinking milk, you can make mixing easier by using a blender or a *this post contains affiliate links mixing pitcher like this one from Rubbermaid. Mix Nonfat Powdered Milk with water using the proportions below. Refrigerate once reconstituted. Let’s take a look at the first recipe that uses powdered milk, shall we? I cringe at the price of sweetened condensed milk these days. We can save a small fortune by taking a few minutes to whip it up from scratch. Whisk together thoroughly and add to any recipe calling for evaporated milk. Mix up 1 cup of powdered milk. Add 1 T. lemon juice or vinegar to the milk. Stir it in and wait for 5 minutes. In addition to the above, you can make whipped cream with powdered milk. Start by adding 1 Cup Ice-Cold water and 1 Cup powdered milk to the bowl of your stand mixer. Whip the mixture until it’s nice and fluffy. Next, add a bit of sugar and a splash of vanilla extract to taste. Finally, continue to beat until the mixture has thickened. In a blender, pulse 1 Cup Powdered Milk, 1 Cup Powdered Sugar and 1 Tablespoon melted Coconut Oil, until the coconut oil is blended in. Those little boxes of pudding are expensive. Most people don’t realize that you can make your own chocolate pudding mix. Combine 1 Cup good quality Cocoa Powder, 1/2 Cup Corn Starch, 1/2 Cups Sugar and 1 Teaspoon Salt in an air tight container. When you would like to make a batch of pudding, add 1/2 Cup of pudding mix to 2 Cups of Reconstituted Milk from your powdered milk storage. In a pan over medium heat and whisk until the pudding mix and reconstituted powdered milk until it comes to a boil. It’s important to keep whisking so your pudding doesn’t burn on the bottom of the pan. Continue whisking as your remove the pan from the heat. Whisk until pudding mixture thickens. 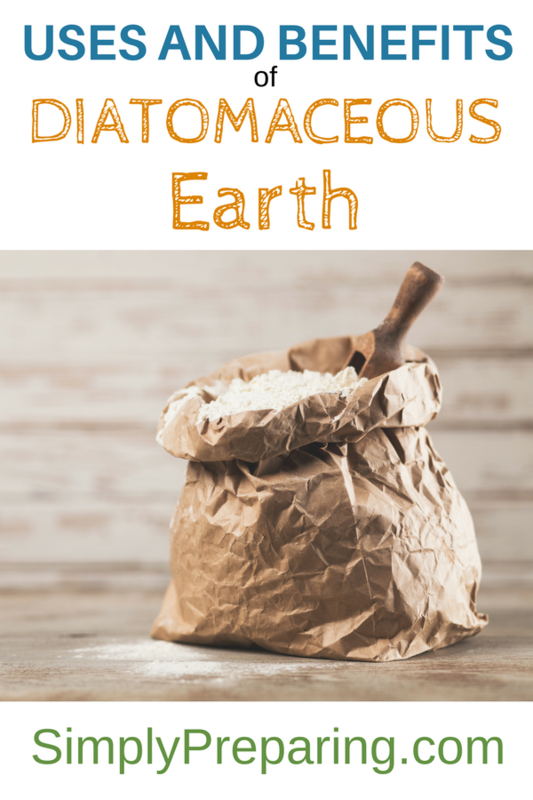 Transfer mixture into a bowl and refrigerate for an hour. Finally, an everyday use for powdered milk is Milk Bath! Our Homemade Herbal Milk Bath Recipe is a skin softening, relaxing delight. 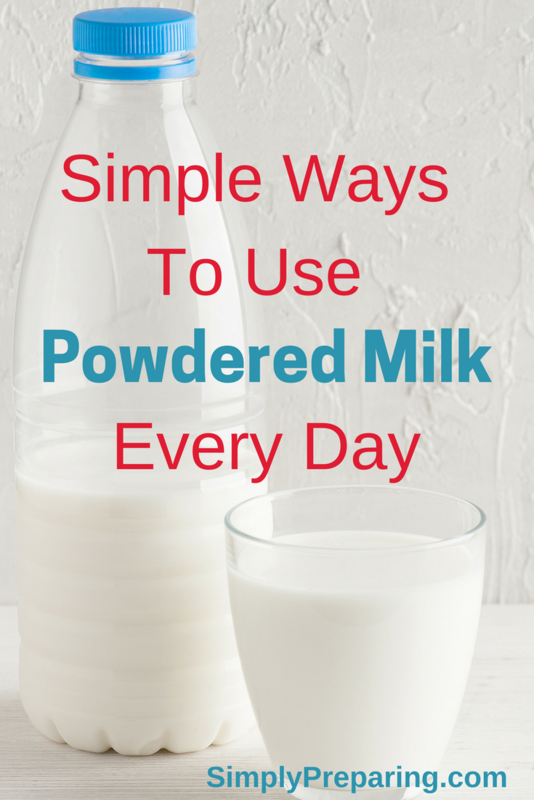 What are YOUR favorite everyday uses for powdered milk? We are grab and go breakfast people at our house. Since my kids were little, the best way to make sure everyone at my house got a good breakfast was to have ready made items like muffins, stashed away in the freezer. 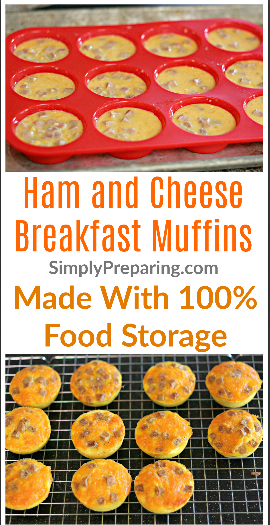 Luckily, this Ham and Cheese Egg Muffin Recipe is super easy to make in bulk. Consequently, the only thing left to do is to warm them up and go! 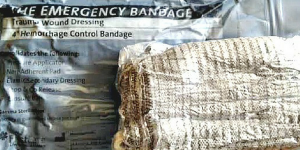 In an emergency, I want to know my family will be able to eat well. It’s important to me that what I have in my food storage, is food my family will eat. Therefore, I stock freeze dried food so I can have the meats, cheeses, veggies and fruits my family loves and use these ingredients in our everyday recipes. In addition, the ease of cooking with freeze dried food, my food waste has also gone down significantly. Plus, Thrive delivers right to my door. *I added extra ham and cheese to my muffins as some of my family wouldn’t touch a vegetable to save their lives. Set aside an EXTRA 1/2 Cup of water to be added when ham and onions are added to help with the ‘defrosting’ process. First, combine the 2 cups of water with the 1 cup of eggs. Mix well. Salt and Pepper. 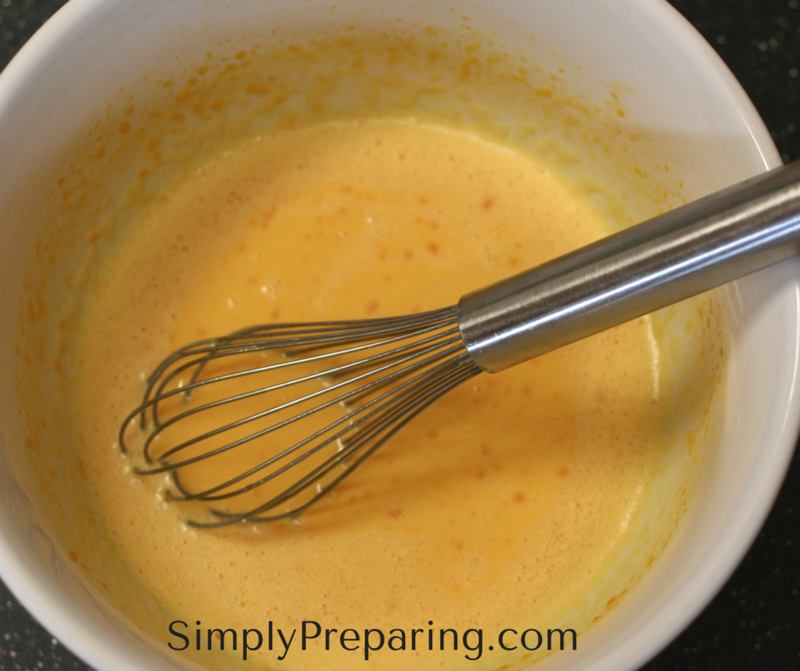 Sprinkle the cheddar cheese into the egg mixture and let set for about 10 minutes to rehydrate cheese. Next, add sausage and onion,stirring well. Now add the extra 1/2 cup water to accommodate rehydrating. Break up the broccoli, spinach and peppers a bit, and fold them into the veggies. Due to the amazing that is my new silicone pan, my muffins pop right out, unlike when I was using a tin pan. Finally, spray a muffin pan to lightly grease it. Spoon mixture evenly into the 12 cups, making sure each cup has an equal amount of egg to ‘goodies’ ratio. 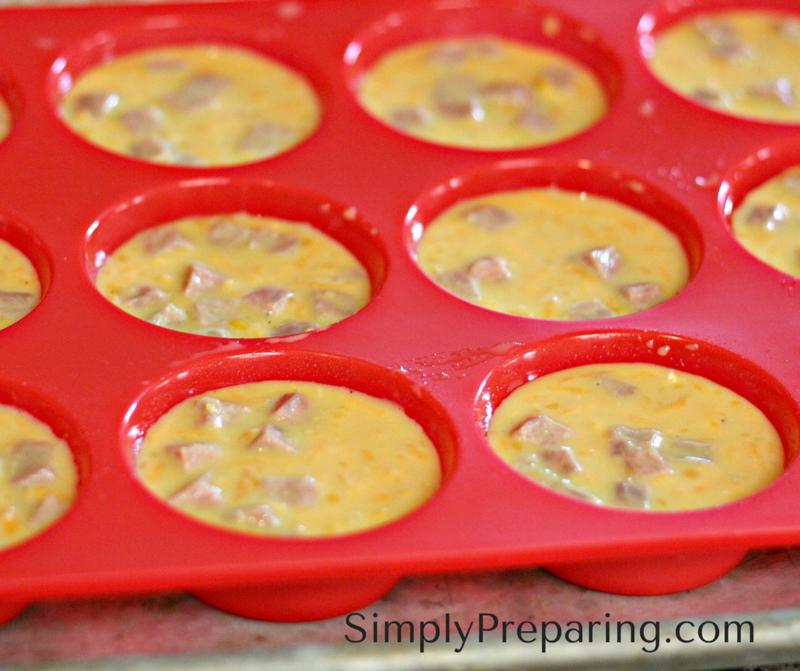 ENJOY this Ham and Cheese Egg Muffin Recipe! 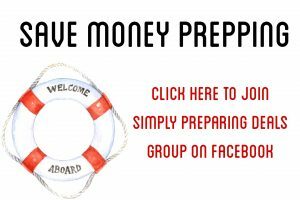 ProTip: Create A Long Term Food Storage Supply Plan! Due to not having to chop or crack eggs, clean up is a true breeze! Much as we may hate it, families are busier now than ever before. As a result, we need to find ways to keep up with the crazy. Rather than sugary cereal, feed your family a healthy meal on the go with this Ham And Cheese Egg Muffin Recipe. Are you looking to stock a deep pantry? Do you like the idea of being able to have healthy, money saving food storage with up to a 25 year shelf life? Terrific! This post on How To Order Thrive Freeze Dried Food is for you! Why Order Thrive Freeze Dried Food? There is so much buzz lately about grocery stores that deliver groceries to you door. Thrive Life has been delivering quality groceries, right to your door, for years now. Groceries that won’t spoil or go to waste as they wait for you to get to them. You can even get FREE shipping! I love how Thrive Life Groceries are ready to go when I am, with no washing, chopping, peeling or browning necessary! Score! Taco Tuesday has never been easier. Most importantly, I know that in case of disaster, I will be able to feed my family from my Long Term Food Storage Plan. What Are The Perks Of Becoming A Preferred Customer? Ah. I love this part. So many opportunities to save money come with being a Preferred Customer and signing up for a monthly delivery service. Preferred Customers get free shipping on all Preferred items when they spend at least $100 in the delivery service! Just look for the Preferred Customer icon next to qualifying products. For every $100 you spend on a delivery, you’ll get $3 back in Grocery points! Let your points rack up, and use them on any purchases outside of your deliveries. Shop Black Friday and Spring Sale deals a day before everyone else! These sales are always while supplies last, which means you’ll get hot products before they sell out. Get a monthly coupon to save on a popular item! No limit on the amount of coupon products you can order either. Not like the grocery stores that limit how many coupons you can use! I’m Skeptical About Automatic Delivery Services. Oh, I get that. But, with Thrive Life, you can skip or cancel any upcoming deliveries before the processing date. Okay. I’m In! How Do I Become A Preferred Customer? Get a FREE membership by committing to 3 deliveries within 90 days (at least one order every 30 days). 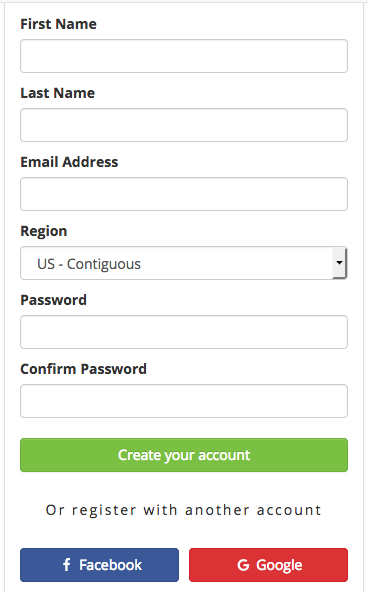 You can select this option during the setup process for your delivery service. Pay a one-time fee of $79 through the delivery service. If selected, it will be charged after completion of delivery setup. You can go here to create your customer account and delivery service. I’m Signed Up, Now What? Once you have signed up to order Thrive Freeze Dried Food, you’ll be asked to choose your meal plan. You can choose from Simple Plate meals (think Blue Apron type meals, but freeze dried), grocery (this is what I do) or a combination of both. Fill up your grocery cart with the items you love the most! You’ll be asked when you’d like your monthly grocery orders to ship. Then you’ll check out and VIOLA! Groceries to your door step. What If I Just Want To Place A Single Order? I totally understand. You can simply place a single order through my Thrive Life website. Please make sure my name, Tammy Hodson, is in the upper right hand corner of your screen. I build my food storage when others order through me. Confused? Here’s a step by step video tutorial on ordering. Or, feel free to email me at hods6mom@gmail.com. I’d love to hear from you! Commercial almond milk has become a mainstay on grocery store shelves. While I bought it for a while, once you start making your own, you never go back. Homemade nut milk doesn’t come with unnecessary additives known to mess with your gut. Plus, making your own nut milk allows you to add your own choice of sweeteners if desired. Let’s get started, shall we? How Hard Is It To Make Nut Milk? Homemade nut milk is super quick and easy. It can also be a bit messy, but, that’s the price of this homemade goodness. Soak your nuts overnight the day before you want to make nut milk. Soaking does a few things, including making it easier to blend the nuts and reducing the level of phytates – the plant enzyme inhibitor that stops the nuts sprouting without water, soil or sunlight. Soaking nuts is sometimes called ‘activating nuts’ and makes them easier to digest too. Pro Tip: Storing your nuts in wide mouth mason jars that have been vacuum sealed with a Food Saver will keep them fresh for years. 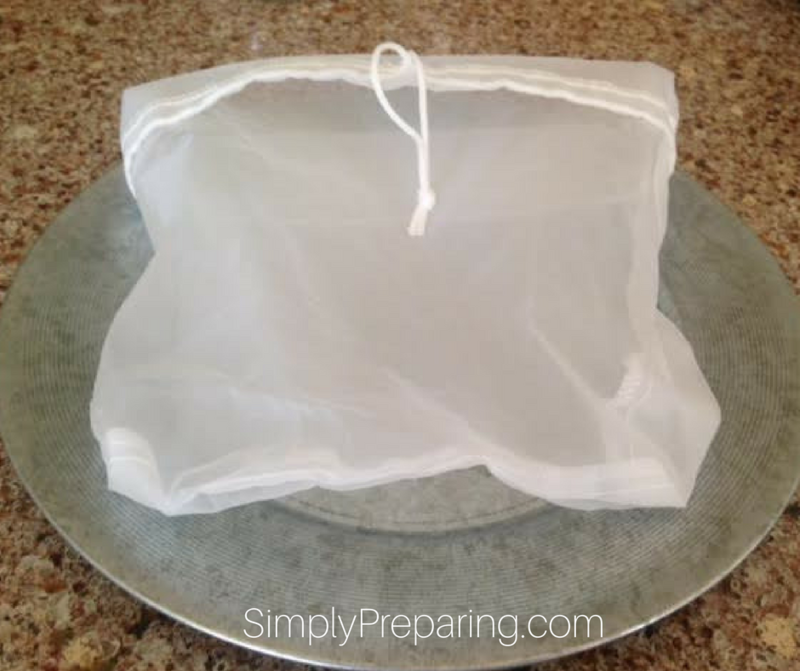 Strain your nut milk with a *this post contains affiliate links nut milk bag or cheese cloth. I prefer a nut milk bag as I can toss it into the washing machine and reuse it for years. If you are making cashew or pistachio milks, you won’t even need to strain them. These milks can blend until completely smooth. Another great thing about making your own nut milk is that you can choose your own sweetener, or leave it plain. I love to use crushed vanilla beans, vanilla bean paste, dates, vanilla powder, raw honey, maple syrup, and brown rice syrup. Because you are making your own, you can choose how rich you would like your nut milk to be. If you are making smoothies, wanting less calories or wanting to stretch your dollar use less nuts and more water. If you are using your milk for coffee or ice cream, use less water and more milk. 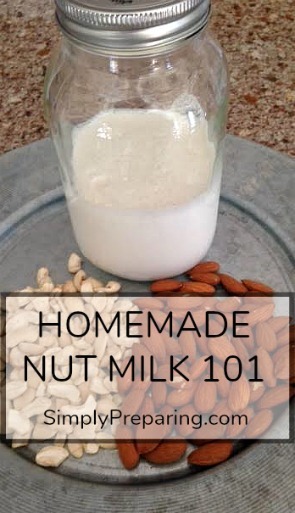 I use this recipe for almond, hazelnut, cashew, pistachio, and walnut milk. Drain and rinse the nuts you have been soaking. 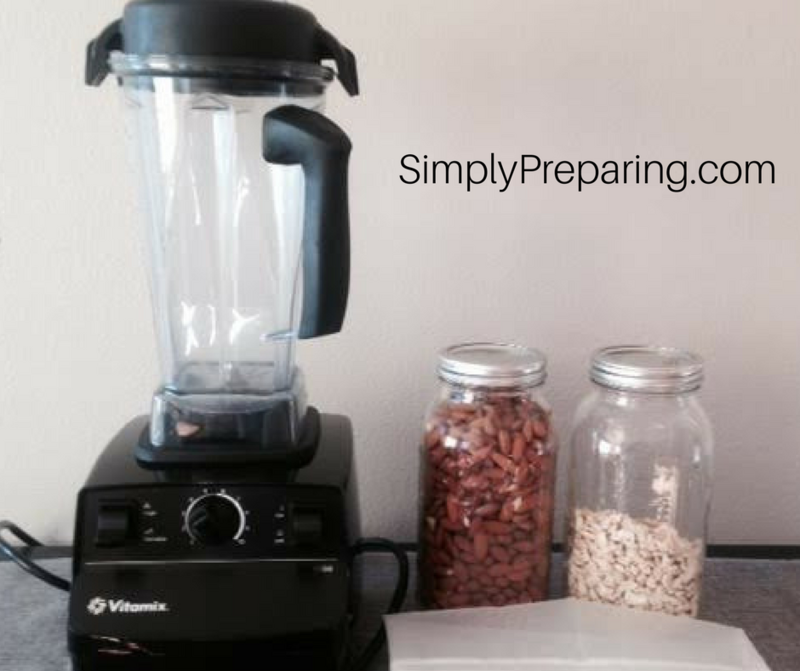 Place well rinsed nuts into a high speed blender with 4 cups of water. Blend them until they create a creamy milk. I have a Vitamix and I go for about 2 minutes. If you have a less powerful blender, you’ll need to blend longer. Over a bowl, or large 8 cup Pyrex measuring cup, strain the contents of the blender through a nut milk bag or cheese cloth. Also, you could even use a leg from an old (but clean) pair of nylon stockings. 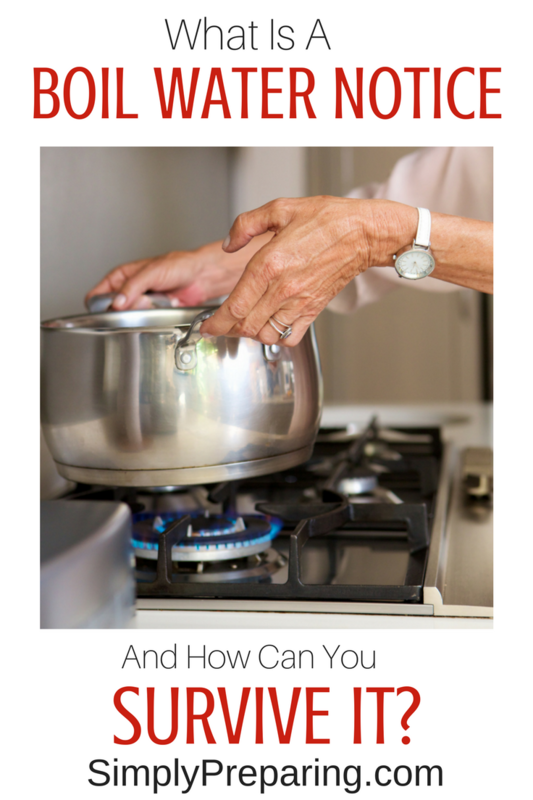 Then, using your hands, squeeze out as much liquid as you can. Return the liquid (milk) back to your blender after having rinsed the blender clean. Finally, add the sweetner of your choice, blend again until combined. Pro Tip: Want to take your nut milk recipe to a higher standard? I love Melissa King’s book DIY Nut Milks, Nut Butters and More: From Almonds to Walnuts. Melissa shares yummy recipes that can’t be found anywhere else! Check it out. I think you’ll enjoy it as much as I have. What To Do With The Nut Pulp? Take the nut pulp left in your milk bag and use it to make homemade hummus, dips or nut cheese. You can spread out the nut pulp onto a parchment lined baking sheet and dry it in a 222 degree oven for 2 hours or until completely dry. Use the dried nut pulp in oatmeal, granola or in baking. Or, you can freeze the nut pulp for later use. What do you make rather than buy from the grocery store to save money? Have you even made homemade nut milk?